Pandas are cute. Toddlers eating the mud delicacy they have spent hours making in the backyard – cute. Even the grub crawling along in its slimy trail has its qualities. But talk to me about parasites? It’s strange, I get two images: those burrowing deep within the skin, having to be pulled out one inch at a time or they’ll snap, and well, the two-legged variety, that makes the world feel much like that burrow through the lens of Fox, CNN and false promises: The parasite enters the world. The parasite ensures they are known, throws a few regurgitated speeches, change the channel – there they are again – the parasite exits, but you know they’re still leaching about. I’m not actually referring to mainstream media, albeit there’s a story I could rant about for pages. I’m discussing its political guests, political sponsorship, political platforms. Propping themselves up under the studio lights, using religion, philosophy and vendetta for their excuses. Occasionally, there’s a glimmer of hope – that their reasoning is logical. Words are spoken, promises made; the bulls*it almost expelled – cured. Politicians and parasites: Is there a difference? 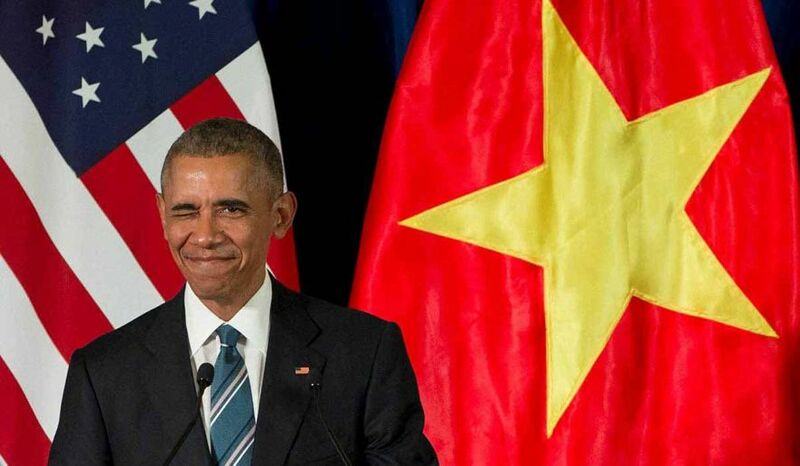 President Obama now has new bragging rights – he has officially become a documented parasite. It seems some scientists won’t draw the distinction. In their white lab coats, tucked away in their bubble, some of our more highly educated are having a good laugh (though they say they’re not). And rightly so. President Obama now has new bragging rights – he has officially become a documented parasite. 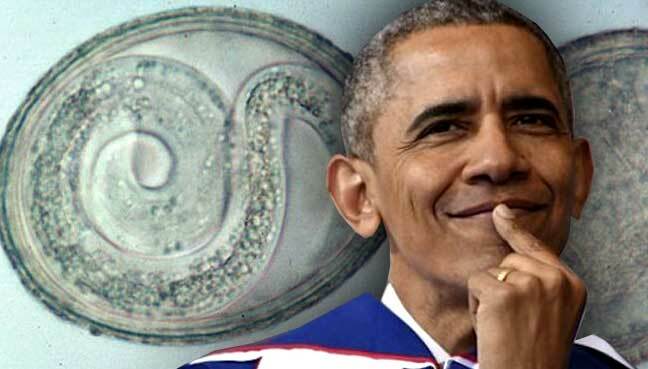 Documented as the Baracktrema obamai, a parasitic flatworm has taken on presidential honors. Though living in turtles’ blood – let’s face it, it ain’t no White House but probably as messy as the War on Terror – Baracktrema obamai is a hair-thin ‘worm’ about 2-inches long. Thomas Platt, a retired biology professor from Indiana’s Saint Mary’s College, named the blood fluke after the current president because it’s an honor – not an insult. Apparently. That’s one way to describe a president with a lot of military intervention and blood spilt, under his belt. Cold is one way to describe him. Resilient? Most certainly. The two-term president knows how to get under the skin, hang in there, remain in power. In the research paper, published in The Journal of Parasitology, it acknowledges the obamai as a metamorphosis of previous parasites (Bushorchis and GeorgiasJunior Vasotroma … okay, I made those up) refusing to die off, instead evolving into the current one just discovered, insisting on further infection to prolong its cause. As with all worms and parasites, the host rarely knows its presence is there – until its too late. Politicians and parasites, it seems, have a kinship. I doubt we’ll find current elections hosted in the lung of a southeast Asian box turtle, but it is certainly redolent of the Nov. 8 elections, where the Grip-hobilharzia-Clintonaecum or Trumprema Donnie parasites will evolve once more. Sources: The Journal of Parasitology, Daily Mail UK. This article (Politicians and Parasites: The Resilience of them Both) is a free and open source. You have permission to republish this article under a Creative Commons license with attribution to Aral Bereux and DystopianNews. Hee-hee. BUt a whole lot of truth there.